It is only a matter of days until Spring will be officially here. Welcome signs from the glorious yellows of lesser celandines and daffodils to the tell-tale blooms of snowdrops, magnolias and crocuses mean that plants are beginning to take advantage of the longer, warmer days. In late March, birds start to look for suitable places to nest and the availability of spring flowers and warm air will attract the first bumblebees. 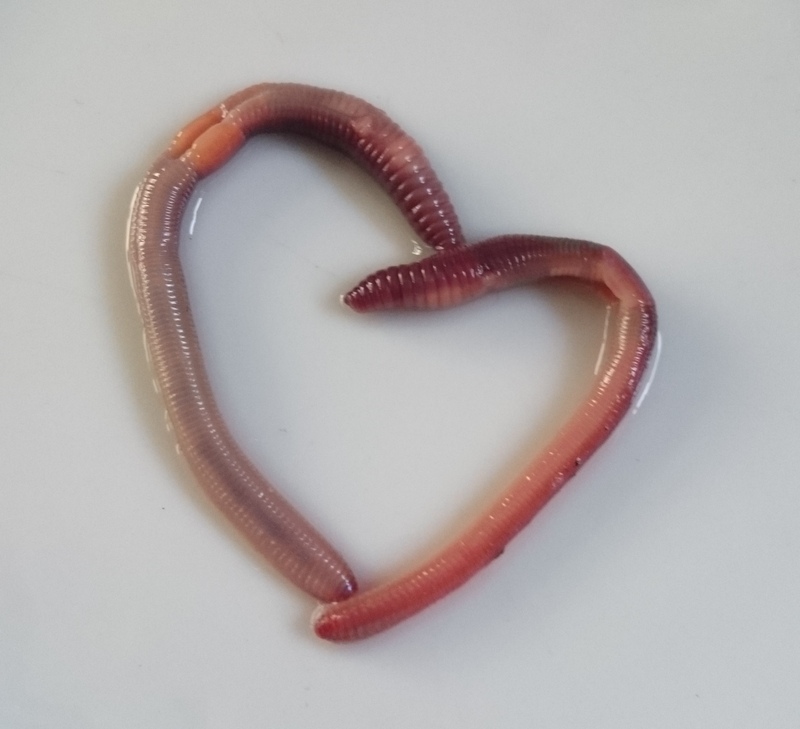 Earthworms are big-hearted creatures whose value to our world cannot and should not be overlooked. Earthworms are well suited for crawling through the undergrowth or within the moist, layered soils beneath our feet, but how do they go about finding a partner to share their earthen world with and reproduce? 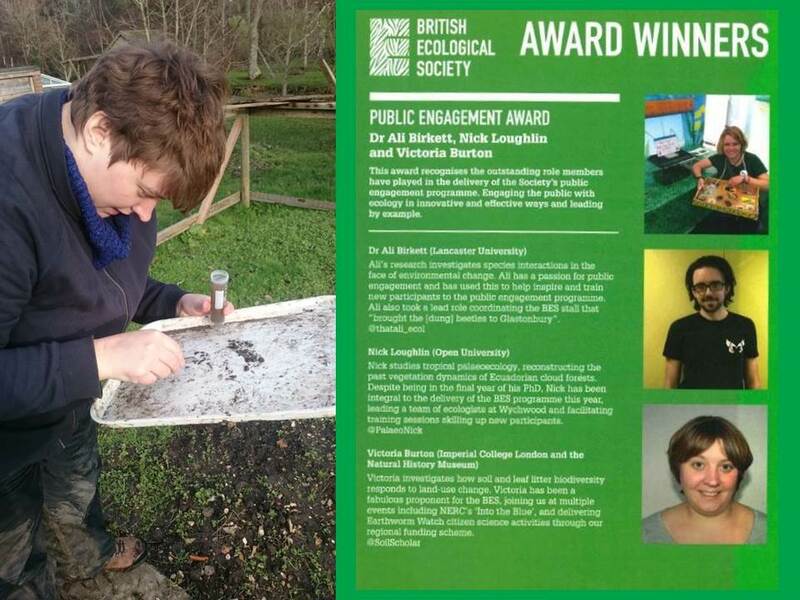 Victoria pictured (left) looking at a sample for earthworms and the BES award highlighted (right) (along with Dr. Ali Birkett and Nick Loughlin). 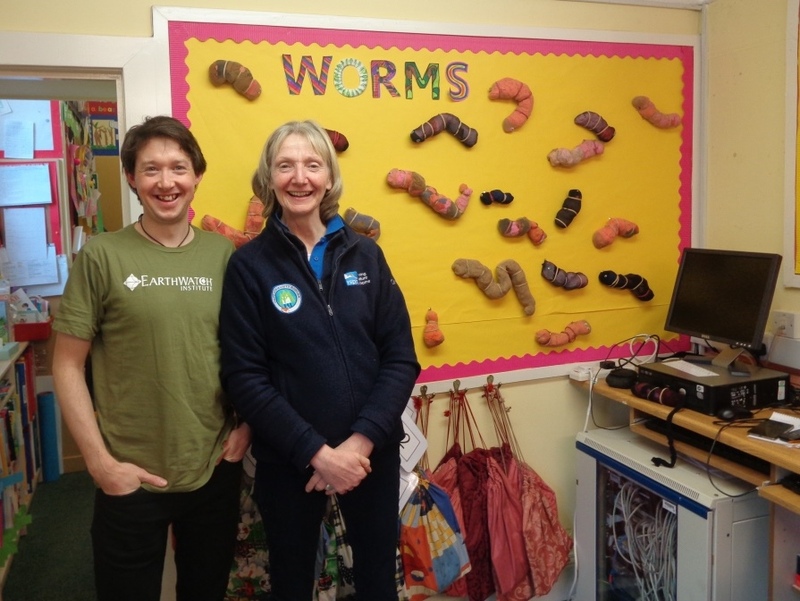 Our very own Victoria Burton, PhD researcher at The Natural History Museum and lead scientist for Earthworm Watch recently received the British Ecological Society (BES) Public Engagement Award (along with Dr. Ali Birkett and Nick Loughlin) at their annual conference. 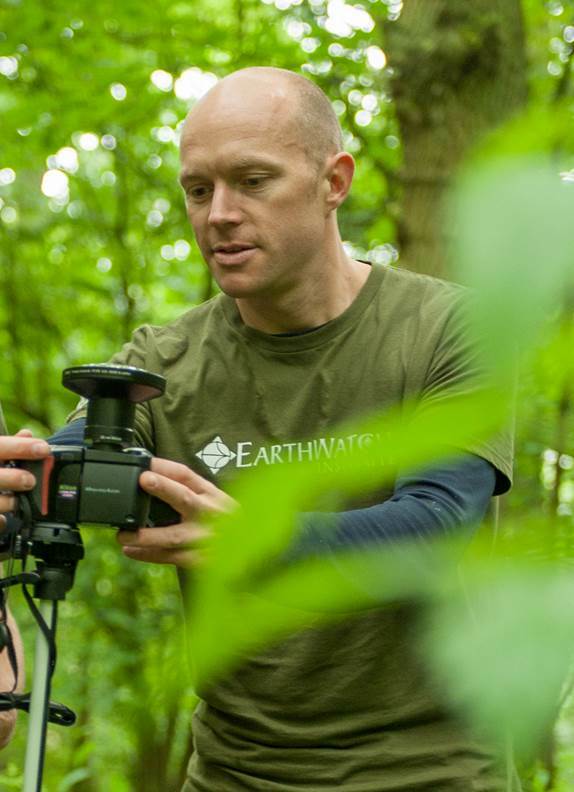 Earthworm Watch was developed by Earthwatch, The Natural History Museum and the Earthworm Society of Britain to better understand the diversity and ecosystem benefits of earthworms. 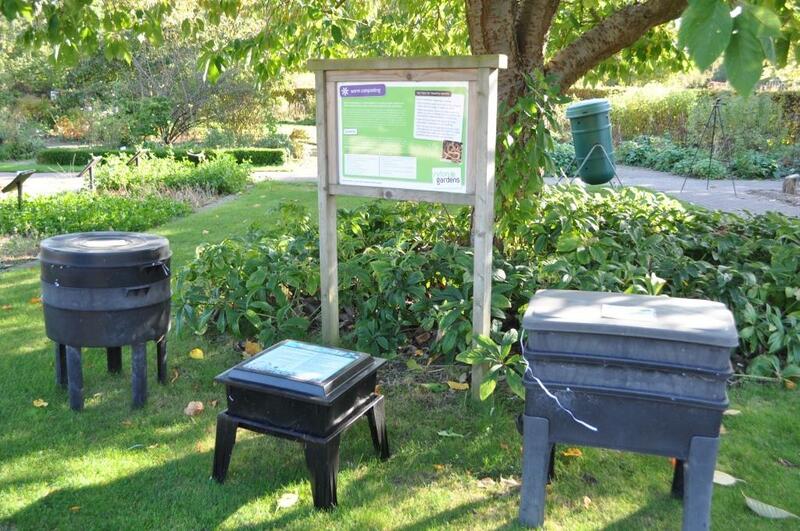 Earthworms recycle decaying organic material to improve soil fertility, they aerate the soil to create space for air and water through their burrowing actions which can prevent flooding and store carbon in fragments in the soil.